18TH.BAT 2nd. LONDON WELSH REG. R.W.F..
CHRISTMAS CARD 38th. WELSH DIV. 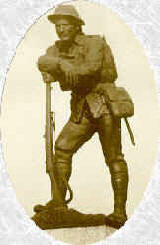 CO. SERGT-MAJOR FRED BARKER V.C.